This home suffered from storm damage, drywalls had water damage from rain water. A winter storm in Maple Lake, MN, can wreak havoc almost anywhere, but it may be especially dangerous to your commercial building. High winds, heavy snowfall and freezing rain are all capable of causing severe damage that could be costly to repair. However, there are a few actions you can take that may help you protect your building from harm before bad weather hits. When frigid temperatures arrive, your building’s pipes can be vulnerable to freezing. When this happens, the frozen water trapped inside can expand and cause one or more pipes in your building to burst, resulting in a serious flood. Properly insulating your outdoor pipes and allowing water to drip in sinks overnight can prevent freezing and the damage it can cause. High winds and wet, heavy snow can cause major storm damage to your building’s roof. If the structure is old, it may be especially vulnerable. 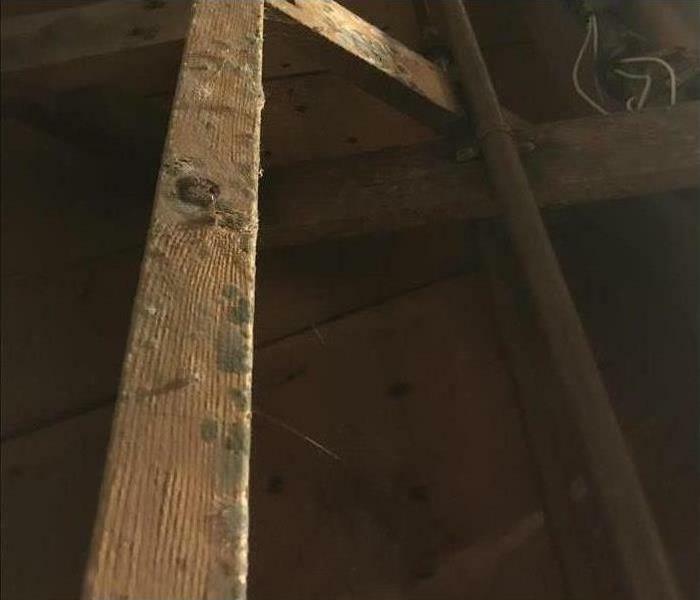 However, having your roof inspected and upgraded before the cold weather comes can prevent serious problems, such as leaks, sagging and even collapse. It can be difficult to know how well your building is going to weather a strong winter storm, so it is wise to prepare for any damage by connecting with a storm damage and disaster restoration service beforehand. Having this service on call can help you feel confident that someone will arrive quickly to remediate floods and other types of problems a violent storm might cause. Working with such a service can also help you understand which areas of your business may be the most vulnerable and allow you to gather information on how you can protect them when bad weather strikes. When a winter storm bears down on Maple Lake, MN , it can be stressful for you as a business owner. However, knowing how to protect your property with a bit of preparation and a few handy tips may help you face the unknown with increased peace of mind. Mold damage in a Monticello, MN home. Black mold, really any mold, can be tricky. You may not even be aware of a mold infestation because it is tucked deep into wall cavities and basement corners. However, another area to be leery of is your property’s air vents. Mold cannot only develop in your ductwork, but it can spread as well. Therefore, you should be aware of the potential signs of an air duct infestation so that you can limit greater facility exposure. One of the main signs that your facility’s air ducts have a fungal problem is the presence of musty odors. While it is true that some areas may have these odors naturally, if the problem is present in your ductwork, you will likely notice a stronger smell when the HVAC unit cycles on. Black mold, as with all molds, starts from a spore. Another sign that you have an issue of fungal growth in your ductwork is the appearance of black dust on your register vents. While this may appear to be dust, it is more likely a collection of mold spores. To test whether it is actually dust or mold, you can attempt to clean it. Mold will not wipe off easily, and it will smear like grease. There are several physical symptoms from mold in your ducts. You may notice that your eyes begin to itch every time the HVAC kicks on, or you may sneeze uncontrollably when the air or heat is on. Additionally, you may get headaches or stomachaches. Pay attention to the way you feel when your system is running. If you notice musty odors, black dust and physical symptoms, then you may have a mold problem that is located in your ductwork. Call a mold remediation specialist in the Monticello, MN , area to help to clean ducts and pinpoint and verify the infestation. Black mold is a problem, and if it is hidden, the problem is only intensified. Mold needs to be removed from properties to ensure the health of tenants and employees. Therefore, if you suspect a mold problem, call in a remediation expert. When Storms or Floods hit Wright County, SERVPRO is ready! Storms can cause Water Damage in our properties in Wirght County, MN. SERVPRO of Wright County specializes in storm and flood damage restoration. 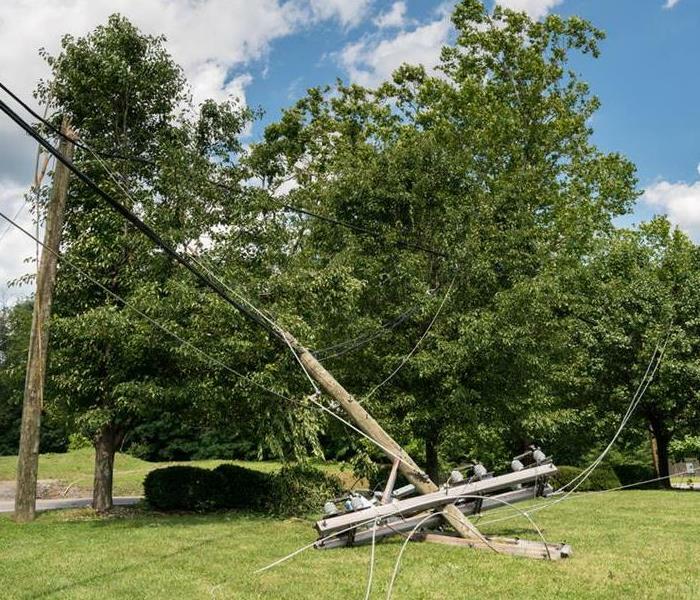 Our crews are highly trained and we use specialized equipment to restore your property to its pre-storm condition. When storms hit Wright County, MN, we can scale our resources to handle a large storm or flooding disaster. We can access equipment and personnel from a network of 1,650 Franchises across the country and elite Disaster Recovery Teams that are strategically located throughout the United States. Have Storm or Flood Damage? Call Us Today 763-295-1161. If you have water in home or water in business, it is imperative to act fast and get things under control. 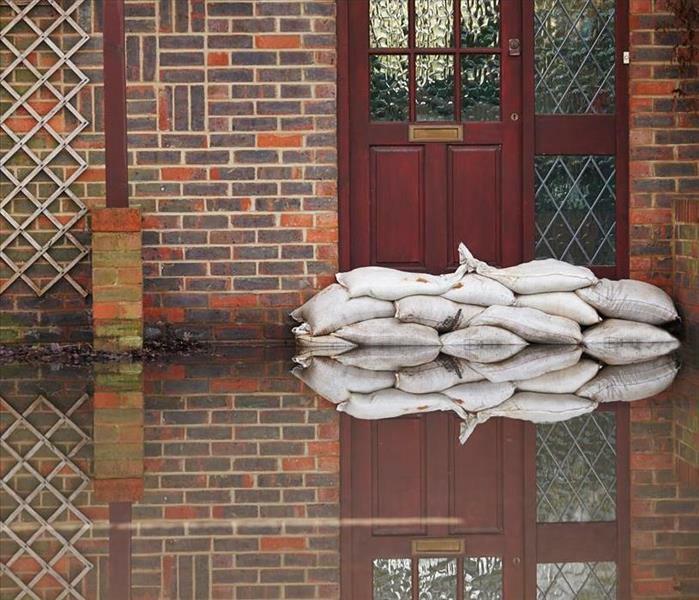 Many people are unaware of the appropriate steps to take when a flood damage occurs in their property. An influx of water into your property can happen at any time and for any number of reasons. Water damage can occur due to a toilet overflow, a washing machine malfunction or a burst pipe. Regardless of the cause of the situation, excess water in home or water in business can have devastating impacts and result in costly damage very quickly. A flood or water in home or water in business can destroy furniture, cause wood floors to rot, and damage belongings. In addition, flood or excess water or moisture can compromise or weaken the structural stability of your building. If the situation is not handled properly, a water or flood problem can quickly create a hazardous environment. When water or flood damage occurs in your residential or commercial property, it is essential that you contact a qualified professional restoration service to handle the various aspects promptly and efficiently. A water damage is an urgent situation, and professionals understand that. Water cleanup experts respond quickly, in order to prevent further damage to the property and your belongings. They know how to handle emergency water or flood situations and can start restoration services right away. They understand how chaotic the clean up and restoration process can be, and they strive to minimize your stress throughout the process. A water cleanup professional will give tips or recommendations on what you need to do while waiting for their arrival. There are a number of steps professionals usually take to get the affected area under control. First, they conduct an initial assessment of the affected area and determine the best approach to take. They will take thorough documentation to help you with your insurance claim process and can guide you in completing and sending the necessary documents and information to your insurance company. After inspection of the area, mitigation professionals will immediately begin the extraction process. They will use their advanced techniques to extract any standing water, moisture or sewage debris. They will move wet furniture and other belongings to a safe, dry area. Water cleanup specialists have sophisticated testing equipment and infrared moisture detection cameras, which enable them to perform this task efficiently and effectively. They test the moisture level and look for appearance of mold or other dangerous microorganisms. Once the sanitization and disinfection of the area is completed and the area is fully prepped, they then start the drying process using powerful drying and dehumidification equipment. Water damage professional teams are fully equipped with high-tech equipment and tools for extracting water and doing flood damage control for homes and businesses. They have moisture detection equipment, large fans for drying, and the latest structural drying equipment. These tools and equipment enable them to perform the task properly, removing water in home or water in business. Their use of powerful equipment helps bring a flooded home or commercial environment back to normal condition. To learn more about water mitigation or flood damage restorations and the process involved in getting things back to normal in your home or business, you should contact a reliable and reputable restoration company or professional. Insurance companies tend to work with mitigation and restoration services that have a track record of successfully completing jobs. An insurance agent will be more likely to approve a claim supported by an accurate estimate and easy access to important information. Here are three reasons why insurers trust Preferred Vendors. In order to obtain referrals for insurance claims, a SERVPRO franchise must meet internal corporate standards. The Participation Agreement sets forth 21 guidelines for franchises. Locations in the vendor program must perform background checks, maintain insurance and meet other requirements necessary for achieving the highest service standards. Preferred Vendors also tend to provide more accurate estimates. Increased accuracy may be possible through pretesting or a careful on-site inspection. A franchise uploads information to an internal database. An insurance agent or adjuster can then sign onto an electronic claims service to access estimates and other information at any time. The accuracy and availability of this information sets the best mitigation and restoration firms apart. Leading vendors tend to have a history of successful jobs. Even if a franchise location is new, the owner and employees should have IICRC certification and training that enables them to effectively perform mitigation and restoration procedures. Agents and adjusters can assess the performance of any location with information available on the Claims Information Center. In addition to estimates and details on individual claims, this service also makes it easy to compare factors such as job file costs and response times. All of these factors distinguish Preferred Vendors from other options in Buffalo, MN. 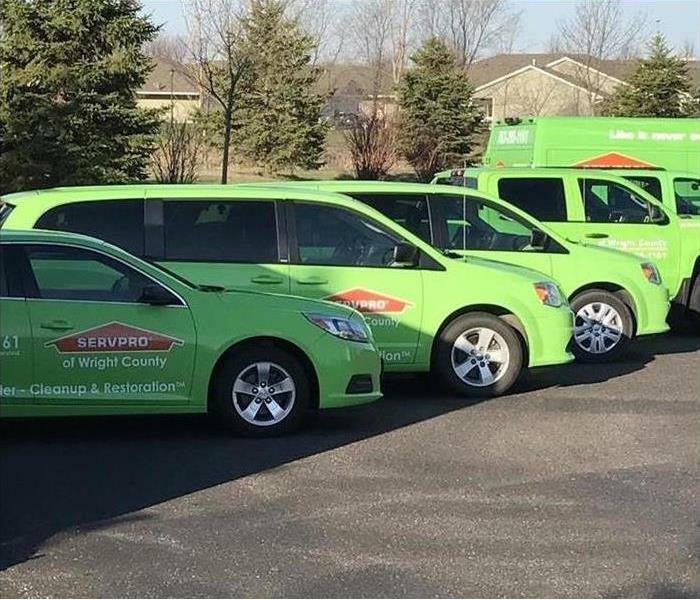 An insurance agent or client should make sure that a local SERVPRO franchise participates in the vendor program. These credentials make it more likely than an insurance claim will be processed and settled in a timely manner. A regular part of maintenance on your home in St Michael, MN, is periodic flushing of your water heater. It's a simple process, but taking safety precautions and making sure the water and sediment have a place to go are important. Water remediation experts recommend the following steps to avoid flooding your home. 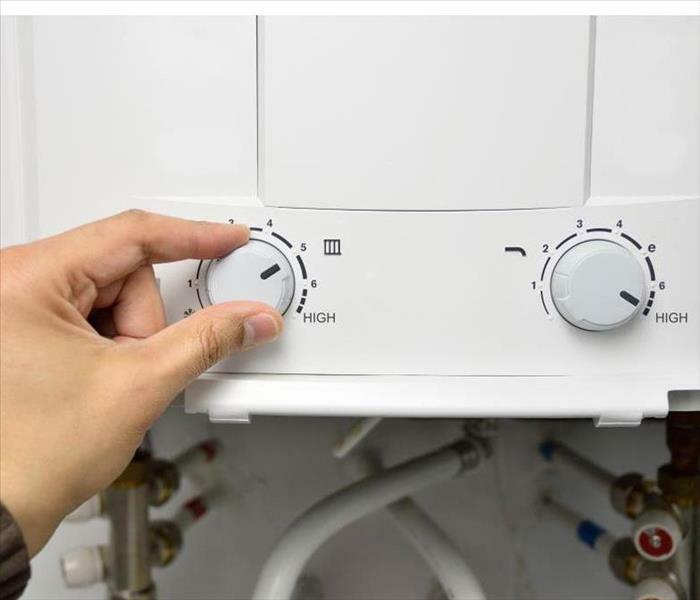 Before you begin the water heater flush, make sure all power is off. The pilot light on gas models should go out, and the circuit that supplies an electric model should be switched off. As you may expect, water from the heater will be hot, so it's important to wear protective gear over your hands. Heavy duty work gloves protect you from getting burned. Connect the hose you are using to the drain valve on your water heater. Place the other end of the hose in the area where you want the water and sediment to deposit. Opening the drain valve allows water to flow through. You can turn on the hot water faucet in your kitchen to speed up the process. Flush it a couple of times to make sure all the sludge is gone and then close the valves to prepare to refill the heater. Turn the water back on to fill the tank. You know it is filled when an open faucet goes from a weak to steady stream of water and no more air is coming out of the line. After confirming the tank is full, you can turn the power on without damaging the heater. Turning the power on lets the water inside it begin to heat up. Your water heater needs regular care just like any other appliance in your home. Flushing the sediment out allows it to continue working efficiently. If you see black mold in your home call SERVPRO. 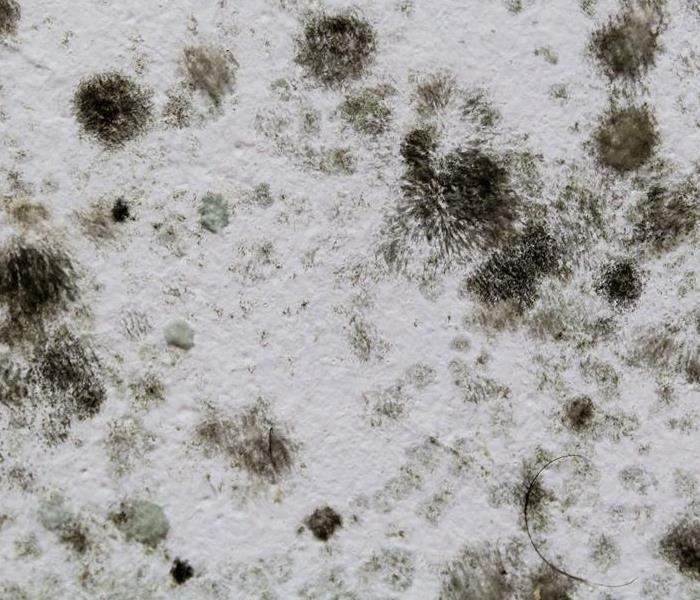 Toxic black mold, or Stachybotrys, is not a species that should be handled by any DIYer. The health risk and threat of spread make this one of the most dangerous species, and only qualified professionals, certified in the best mold remediation practices, should be brought in to remediate your home. 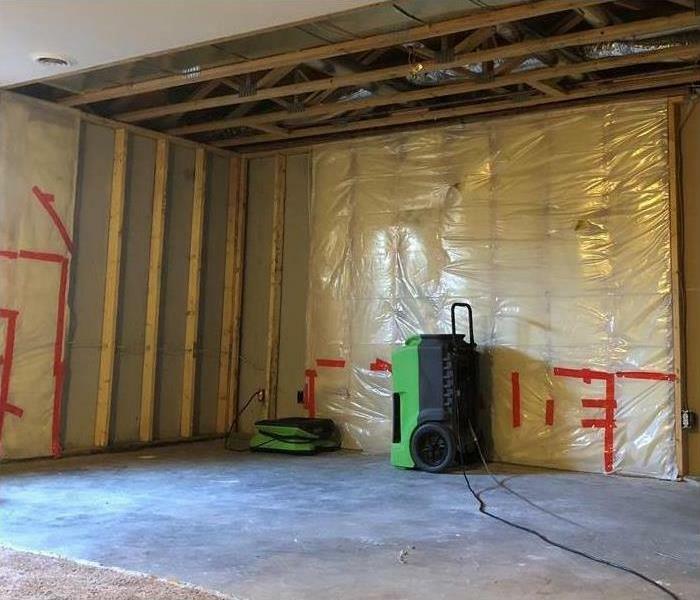 A mold remediation specialist in the St Michael, MN, area has gone through the required training and has acquired the necessary skills and knowledge to remove all types of mold from your home safely. They are aware of and use the most current safety measures for removal, keeping you and your family safe in the process. Toxic black mold is not unique in its characteristics from other mold species. Even the black color is not an immediate giveaway that it is toxic. The mold must be tested to determine species and potential health risks. However, while testing is the only definitive way to diagnose a mold problem, several common characteristics of mold are its textured and fuzzy appearance along with its variety of colors. Mold cleanup is highly reliant on what is often deemed a controlled removal. Since infestations can be made of millions of tiny spores, it is essential to control airflow and movement in the space to be remediated. This means that areas are often taped off with plastic sheeting, including ductwork and windows. The idea is to limit spread as much as possible. Since most infestations can be found originating in wall cavities and ceilings, the remediation process will often require the removal of drywall and insulation, which can leave your house in disarray. Thankfully, many remediation specialists belong to restoration companies, meaning that your home will be repaired before the job is deemed complete. While a DIYer should never handle toxic black mold, it may also be safe to say that no mold infestation should be treated by someone inexperienced. The amount of work and caution required in mold removal most likely mandates professional assistance. Comprehensive certification is not a single certificate. There are at least thirty different categories of inspection, cleaning and restoration certificates available. The institute provides training and testing for each one. It awards students a mitigation certificate upon successful completion of each category. An IICRC certified provider employs professionals with one or more mitigation certificate. Each inspection, cleaning or restoration job requires a combination of certified skills. The business assembles a team with the appropriate skills and dispatches them to the job. The mix of professionals on the job changes as the list of required skills changes. A provider may survive with an occasional unhappy customer. A provider cannot survive without its certification. A certified provider holds itself and its employees to a high standard. This high standard is what certification is all about. Failing to meet this standard jeopardizes the value of the certification for others. This failure can lead to discipline and, eventually, revocation of the certificate. Without that, the provider is out of business. The same level of standards applies to individuals and their certifications. Revocation is a real possibility if there are problems. It makes attaining employment in the inspection, cleaning and restoration industry difficult. Find an inspection, cleaning and restoration provider with an IICRC, and you are off to a good start. Next, you want one located nearby in the Buffalo, MN area. Confidence in the provider will give you confidence in the quality of the job once it is complete. While you might assume that when you bought your home in Buffalo, MN , that it came already installed with all the smoke alarms you need to keep your family safe, this is not always the case. As more research has been conducted over the years on fires and how they spread, requirements have changed. Many older homes do not meet these standards which can be dangerous in the case a fire does occur. Keep your family safe by ensuring a fire alarm is located in the following four locations! The National Fire Protection Association suggests the placement of a fire alarm in every bedroom of the house. This ensures that if a fire occurs while your family is asleep, the alarms will wake quickly wake up everyone. Not only should alarms be inside every bedroom, there should be a smoke alarm right outside the room or any other sleeping areas as well. This is so you can react and start to escape before any fire or smoke even enters your room. Kitchen fires result in approximately 50 percent of all home fires, many of which result in serious fire damage to your home. Make sure a fire alarm is located 10 feet from your kitchen rather than inside it since smoke or steam from cooking can easily trigger it. Ensure that there is as least one smoke alarm on every level of your home. Don’t forget your basement! Serious fire and smoke damage can occur from an undetected fire that starts in the basement. It doesn’t take long for a house fire to quickly get out of hand! 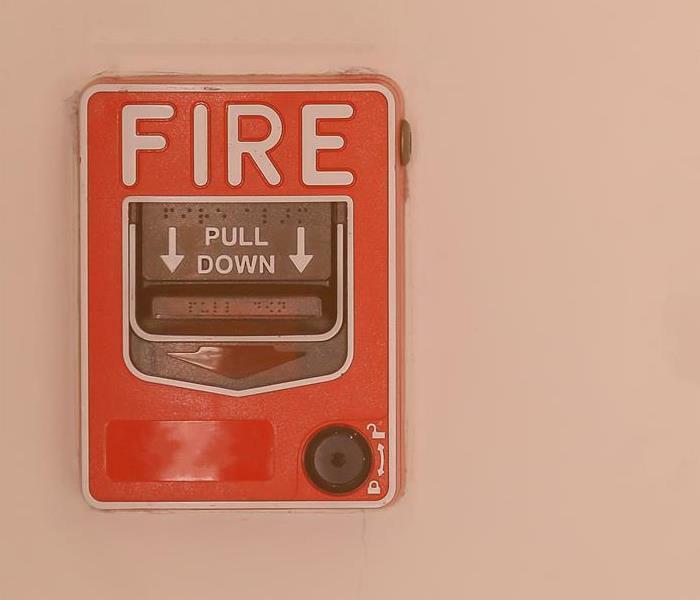 That’s why it is so important to have all the required fire alarms installed so you can quickly get everyone out of your house and get in contact with the fire department and a fire restoration company to minimize the fire damage to your home. 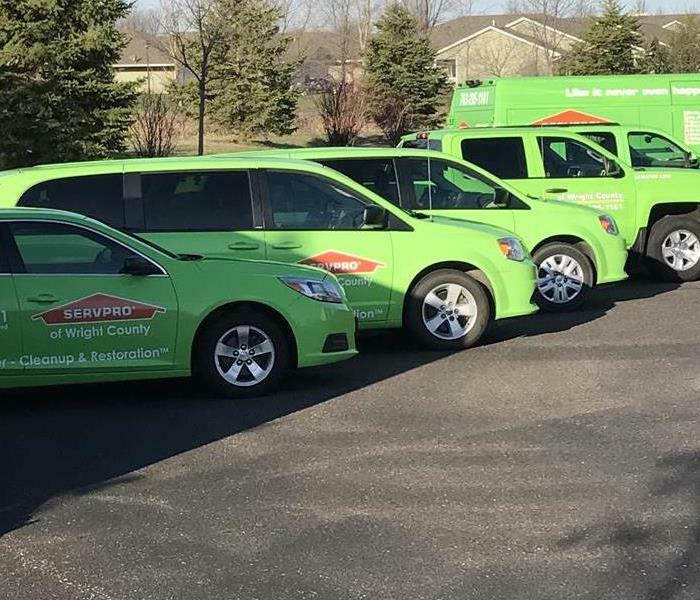 4/4/2019 - When Storms or Floods hit Wright County, SERVPRO is ready!